Gearing up to negotiate the salary before you join the new job? 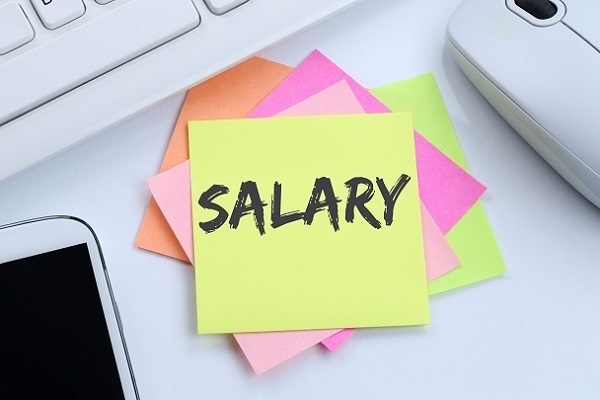 Know what to say or not say during a salary negotiation to get the offer you want. Negotiating salary to get the best offer in your new job. Got through the job interview? Congratulations! You have cleared the first big test but more are yet to come. Once you have performed well in the job interview, there comes a part called salary negotiation. Salary – a very important component of a job that can elevate your social status, make your parents proud and give you the giddy feeling of doing something great. So, keeping this in mind, you should know what to say and most importantly what not to say during the salary negotiation for a new job. It is a new job for you, probably your first job ever and as such you might be hesitant to come across too strongly on the person while negotiating salary. Or you might not feel very comfortable discussing money. However, saying sorry or apologising during salary negotiations can go against you. Instead of saying sorry, do some research on the amount you should quote or the average salary to expect with your experience and profile, and stick to it. If you apologise then the recruiters will realise that you are ready to back down and will push you for it. The HR made an offer which you did not find very acceptable. What do you do? Do you say “no” and then tell them this is not acceptable to you or do you just go with the offer? If you want to negotiate on the salary then never start with a negative word. Instead of saying a “no, this is not how I want” say “I will be more comfortable with this package”. A clear no or other such negative words can make negotiation slower or might even lead to your dismissal and you surely won’t want that. Would you? Yes, it is important to tell the recruiter what you want and that is the whole point of sitting and having a discussion before you join a new job. However, saying “I want …” can turn the tide against you and tank your argument even before you build it. Base your negotiation on logic, on how you deserve to be paid more and how your skill sets are going to be a great asset for the company without throwing in your “want”. What you want should always be in the subtext. Of course, you will eventually have to quote a figure and base your argument on it. However, telling before hand how much you want to be paid and what you are expecting can put you in a bracket. Instead, hear out what the company has to offer. You never know but the company might actually have a higher pay in mind for your position and qualification and you might lose out on that opportunity by quoting your numbers first. Don’t talk about how much you were earning in your last job to avoid the bracket. And while you are negotiating the salary, try to keep an open mind and a cool head and hear the recruiter out and present what your wants are. Do some research before sitting in for such a session so that you know what the industry standards are and what you should be expecting or quoting. Know what to say and keep your nerves during the whole process. If you know you deserve a certain package, then you will bag it. For more great paying jobs, check the AMCAT jobs portal and apply for fresher jobs or IT jobs or other jobs that catch your fancy or fit your profile. Great article, and i think these are some common mistakes that candidates makes while negotiating salary.Salary negotiation is an important skill for workers of all experience levels to develop but while negotiating salary above some mistakes need to avoid because an employer could offer you less than you expect or rescind the job offer all together. Thanks for sharing, will be helpful for my next interview!